Viknesh Vijayenthiran August 14, 2017 Comment Now! 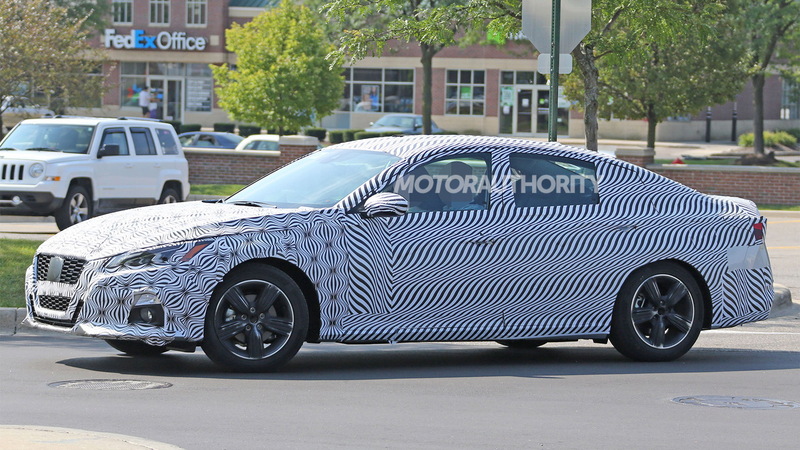 Nissan in January previewed the design of its next-generation Altima mid-sizer and now we have the first spy shots of a prototype. 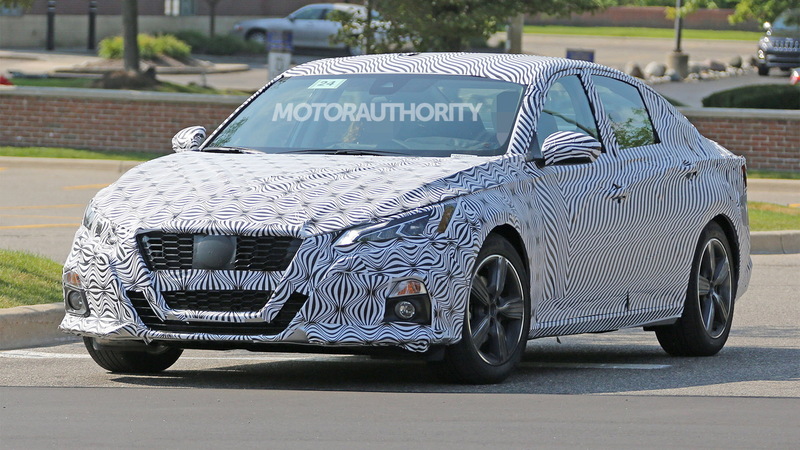 The car is due in showrooms in late 2018, as a 2019 model, and represents the sixth iteration of the Altima nameplate. January’s preview of the next-gen Altima came in the form of the Vmotion 2.0 concept car unveiled at the 2017 Detroit auto show. Numerous elements from the concept have made it onto the production model, albeit in toned-down form. 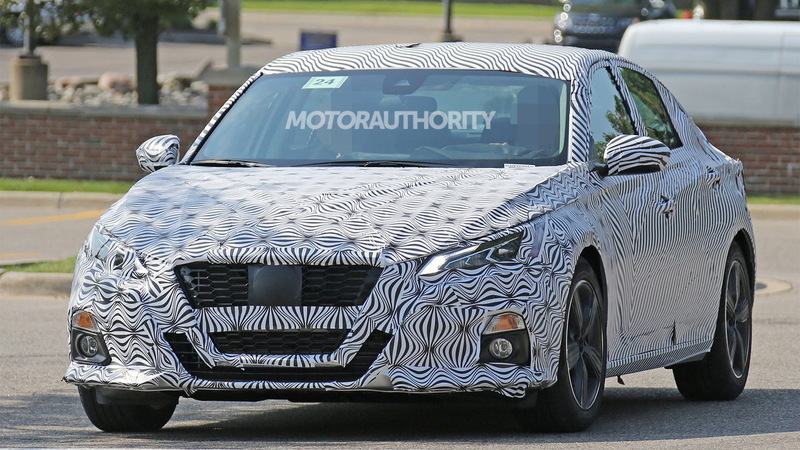 Despite the heavy camouflage, the angular headlights, V-shaped grille and floating roof can all be clearly seen on the prototype. We also have some shots of the interior which reveal a digital screen in the instrument cluster and another, larger screen at the top of the center stack. Thankfully, there are still physical knobs for important functions such as controlling the volume and temperature. The gear selector looks similar to what we see on the current Altima, suggesting that a CVT will carry over to the next-gen model. One difference, though, should be the availability of all-wheel drive. 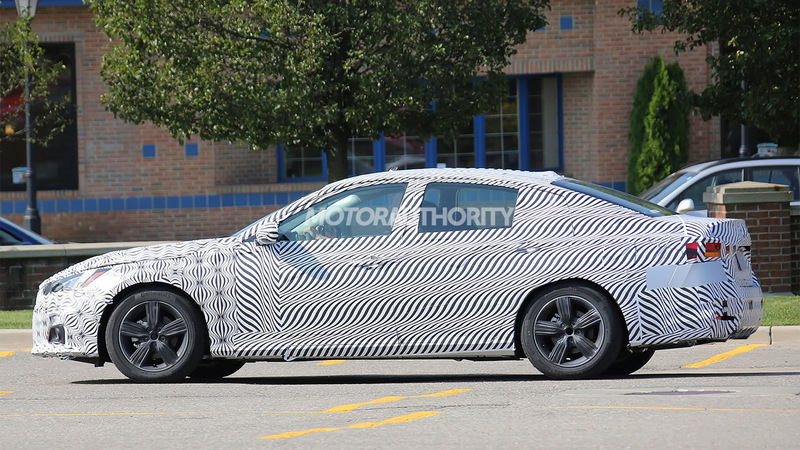 Front-wheel drive will be standard, though. It’s not clear what Nissan has in store for the powertrains though there’s a good chance we see the current Altima’s V-6 option dropped. A 4-cylinder should be standard while the more powerful option could be a turbocharged 4-cylinder or possibly even a 4-cylinder-based hybrid setup. The next-gen Altima will also benefit from Nissan’s latest electronic driver aids, grouped under the ProPilot heading. These debut on the next-gen Nissan Leaf and are able to assist drivers in acceleration, braking and steering during in a single lane on a highway, as well as in some parking situations. 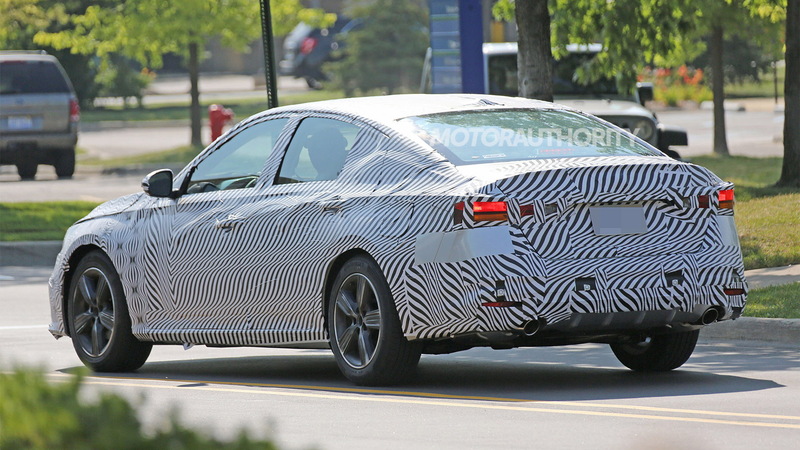 Rivals for the Altima include the Chevrolet Malibu, Ford Fusion, Honda Accord, Hyundai Sonata, Kia Optima, Subaru Liberty and Toyota Camry.